Industrial settings are dynamic and demanding environments that require attention to detail. Bevco offers handcrafted, customizable stools that are ideal for labor-intensive environments. Our stools promote ergonomic structure and encourage productive workflow. 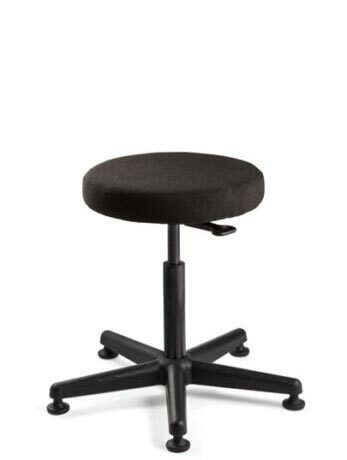 Bevco’s sturdy construction and modern design of the Versa backless stool is ideal for industrial and factory settings. With a variety of upholstery options, you can build this stool to fit your specific needs. The thick, polyurethane seat is impervious to water, oil, and most chemicals, while the durable vinyl and fabric seats are comfortable, dependable, and are manufactured in a wide variety of color selections. All model options offer a non-slip surface that is easy to clean. 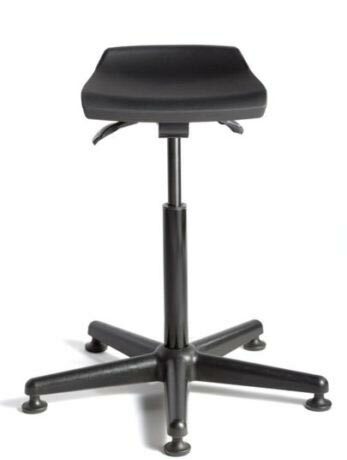 Our sit stands promote dynamic standing by allowing you to stand throughout the day while periodically perching upon this stool to take weight off of your legs and lower back. Adjustable height range allows for a personalized experience, while the non-slip surface ensures you stay grounded and steady. The polyurethane seat is impervious to most liquids, durable, and hygienic making this stool ideal for an industrial setting.